Welcome to season 2 of Drinking and Mocking, our NFL Draft podcast! In their return, Nick, Erik (Vito), and Craig review last year’s first rounders, talk top QB and RB prospects, break down Nick’s first mock draft of the year, and more. Sit down, pour yourself a nice drink, and enjoy some NFL draft talk! 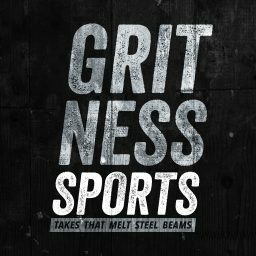 Remember that you can also subscribe to us on itunes: https://itunes.apple.com/us/podcast/the-gritcast-by-gritness-sports/id1301709009?mt=2 or on most other podcast apps.